DWI & Traffic Violations | The Frey Law Firm, LLC. You Do Not Want a DUI Conviction. If you are charged with Driving While Intoxicated (DWI) or Driving Under the Influence (DUI) in Florida it is important to understand your rights and options in order to best defend against the allegations. The consequences from a DUI conviction can be serious. Whether it is jail time, ignition interlock devices, fines or loss of license, it is important to develop a strategy to defend the charge in order to ensure that all of your rights are preserved. Consequences for DUI convictions can include jail time, increased insurance rates, loss of your driver’s license for up to one year and loss of your job. The penalties for a first-time DUI are bad, but the consequences for a second DUI are even more severe. A second drunk-driving conviction can result in a fine of up to $4,000 and loss of your driving privileges for up to five years. At The Frey Law Firm, LLC, in Tampa, Florida, attorney Ron Frey is skilled at making the government prove its case beyond a reasonable doubt. He will work on your behalf in order to achieve the best possible outcome for DUIs and other traffic violations. Did you know that the first DUI case was in 1897? 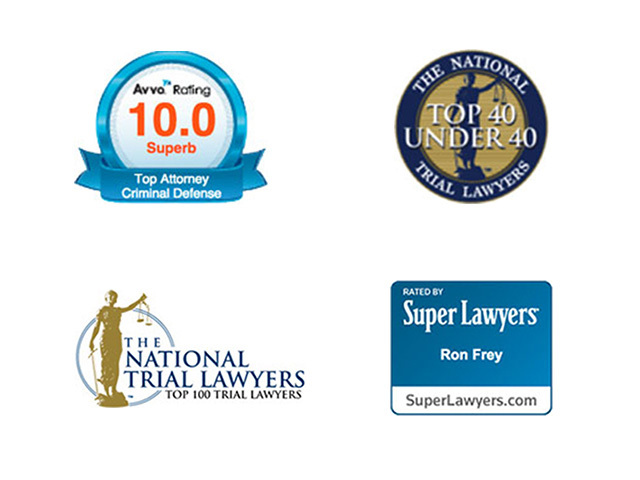 Tampa DUI Attorney Ron Frey discusses the case and its similarities to the DUI cases of today. Click here to learn more: When was the First DUI case? Whether your case involves a traffic matter or computer crime, alleged first-time offenders often struggle the most within the criminal justice system. First-time offenders often believe they will be treated fairly if they speak freely and answer every question the police ask. Unfortunately, that is not how the system works. First-time offenders often fall victim to law enforcement tactics and can pay dearly for trusting the system. At The Frey Law Firm, LLC, we represent criminal defendants of all types, but we focus especially on helping individuals who are in the criminal justice system for the first time. We understand that first-time offenders are often at a significant disadvantage within the criminal justice system due to their lack of knowledge and experience. We are prepared to defend you and ensure that all of your rights are secured and that you have a complete understanding of the process from start to finish. Do you need a lawyer to defend you against DUI or other traffic violation charges in Tampa, Florida, Hillsborough County or beyond? Turn to The Frey Law Firm, LLC, for the skilled criminal defense you need. 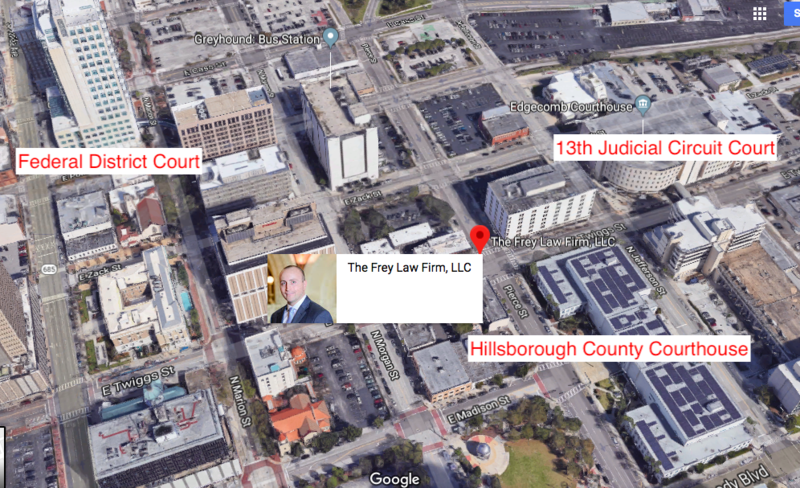 The Tampa Criminal Defense Law Firm, The Frey Law Firm, is conveniently located within walking distance of all of the Tampa Courthouses.